Rev. Larry Salway grew up on the Rosebud Reservation in southwestern South Dakota. 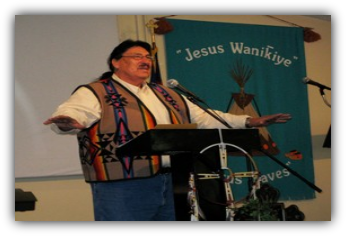 He rose out of the poverty of his childhood and became a Licensed Clinical Social Worker and later, a professor at the Oglala Lakota College campuses in Kyle and Rapid City, SD. He served for five years as Tribal Judge in Rosebud, SD. Rev. Salway has also served as pastor of churches in Arizona and South Dakota. Larry is the Director of Wesleyan Native Ministries.